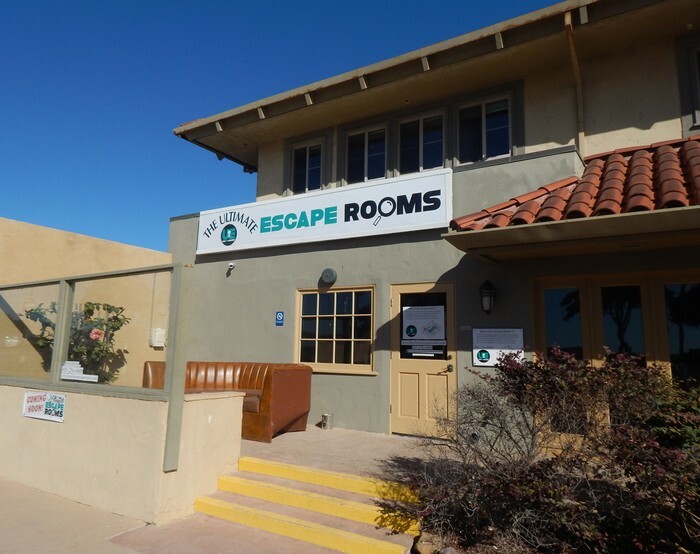 Yesterday, I went to an escape room with my friends in the Ventura Harbor. Out of pure stupidity, we decided to sign up for the hardest room, The Wizards Lair, with a 25% success rate. The amount of hidden clues in the room was incredible. We headed into the room, which we first thought was the only one. There was a desk in the middle of the room with an array of things on it, but the main thing was a box with a fairy in it, which was the object of our escape. We were to free the fairy in the box because the fairy gave our town good luck and fortune; but, when the fairy was stolen it cursed our town forever. Our group started off by unlocking the first box which granted us light to our dark, murky room; and gave us wands which helped us unlock another box. There were many more clues in the room. The last major clue was the bookshelves, which corresponded with the symbols and number on the potions and scrolls. After we figured out the code that corresponded with the books on the bookshelves, the bookshelves moved revealing another hidden room. We were so excited because we thought we had beat the room, only to discover we had only made it through 50% of it. Sadly, we did not make it fully through the room in time, but that is only going to make us want to go back again, to try and beat it next time.